The Original Ip Man Movie that Started the Craze! The movie Ip Man released in Hong Kong in 2008, and was a huge success in China, Asia, and among Wing Chun Kung Fu fans around the world. And I think the one copy available in our Wing Chun school was passed around to everyone. I bought my own copy in a local Chinese neighborhood. Thanks to the success of this movie Wing Chun Kung Fu has been seeing a surge in popularity around the world and especially in Asia. Chinese movies stars are rushing to take Wing Chun lessons, making it even more popular. Ip Man Part 2 wrapped up production in Shanghai, China and based on insider accounts, it’s better and badder than the first one. In fact, so much heart and soul went into making it “Perfect” that Sammo Hung (who acts in the movie and is the action choreographer) was admitted to the hospital for heart surgery. That’s dedication! Ip Man 2 is scheduled to release in Hong Kong during the summer of 2010. The actor for a young Bruce Lee was cast in Ip Man part 2. However, up until recently the director, Wilson Yip, wasn’t sure how or where the young Bruce Lee character would fit into the movie (after all, it’s a movie about Ip Man and not Bruce Lee). Let’s hope that the scene isn’t cheesy or forced. And let’s hope, for the young actor that his part doesn’t end up on the cutting room floor. 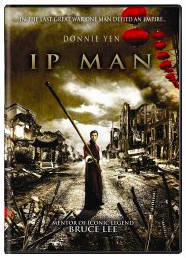 Is Ip Man Part 3 Already In Danger? Donnie Yen, the Hong Kong movie star who plays Ip Man, mentioned in media interviews that he might not come back to do Ip Man part 3. He says that Ip Man 2 is perfection and wouldn’t want to be involved in a part 3 if it’s not going to be better than part 2. In other words he wants to quit while he’s ahead.That could be a good move for two reasons. The producers, if they want him back, would probably have to offer him a lot more money. If Ip Man 3 really isn’t going to be better, or at least just as good as Ip Man 2, then he won’t be associated with it and it won’t tarnish his reputation. More money is easy to understand. How about tarnishing his reputation? I think that’s smart on his part. Too many movie sequels bomb. It would have been better to just keep the perfect original and not muddy it with the sequels. It’s not necessary. Let’s see: Terminator 1 and 2 awesome! 3 and 4, why bother? Matrix 1, fantastic! 2 and 3, what for? The original Chinese version of The Departed, Infernal Affairs, is also a trilogy. Part 1 and 2 were absolutely amazing! But, Part 3 was like watching a totally different movie that they named Infernal Affairs part 3 — what were they thinking? If Ip Man 2 is really superior and fantastic, then the producers should take note, don’t bother making a third one if it’s not going to be great. No one is forcing you to poop out low quality work that dirties the first two Ip Man movies. Read the review for The Legend is Born: Ip Man!